Happy Holidays to you from our family! A year ago, we were so apprehensive about moving our father from his home to yours. We worried about how he would adapt if he would be angry or sad. As you know, that has not been the case at all. He is very happy and more relaxed than we’ve seen him in years.! THANK YOU for really taking the time to get to know him. THANK YOU for the special personal touches like the Dodger games and decorations. THANK YOU for making his life so much easier and more pleasant. Every time we visit, we leave thinking how deeply grateful we are that he has such a wonderful place to live. People know him, he has friends, he smiles and laughs—every day! The work you all do is not always easy and families (our own included) probably do not express their gratitude enough. Please know that we think and feel it every time few visit. Such a wonderful place. I looked at other communities, and Foothill was the place by which I judged all others. The staff is friendly and attentive. The facility and grounds are always immaculate. The location is amazing. I didn’t hesitate to place my mother here. I know she’s being well cared for. I visited Foothill looking for placement for my mother. They don’t have room availability now and I can see why — friendly staff — clean — water color class going on when I was there — beautiful building — reminiscent of Santa Barbara. LOVELY! We’re very pleased with how things have turned out at Foothill Retirement. My loved one seems to be settling in well! They’ve been very accommodating throughout the whole move-in process. I don’t get to visit often, as I am out of state, but I hear very good things from her! We moved my mother here from another facility and we have been very pleased. They are excellent at communicating, always keeping us informed of how mom is doing, and very good at responding to our needs. I am very satisfied with how they are handling her medications. The grounds there are lovely. There is a lot of beautiful outdoor space and it is very open. They also have much better activities here than they did at her previous assisted living. From the initial evaluation, to the check in, all the way up to now, everything with Foothill Retirement has been great. Everybody there has been very professional and courteous and they are taking really great care of my dad. 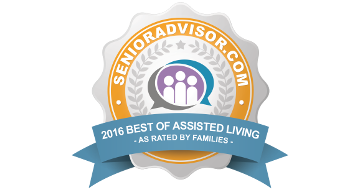 It has been a very positive experience and I would highly recommend them. If there were 10 stars for a business, I would give them 11. They are a great facility with great people. It’s the kind of place that you walk into and know, this is home. End of search. We are very happy and love it! Excellent surrounding, courteous and efficient staff! 5 star overall rating! I will probably end up here myself. My name is Debbie Y. and I have the honor of doing art therapy at Foothill Retirement. I am welcomed with open arms and smiles at the front office. Toni, Carlos, Nelli and Micah are like family and you can tell they are genuinely caring for each person who enters their doors and the people who reside there. I also work with the activities staff Karina, Jorge and Elizabeth who are always doing fun activities with the residents. I was blessed to have the chance to take care of my mom at home but if I hadn’t had that chance I couldn’t think of a more wonderful place to put my loved one. My Mom lives at Foothill and I am very happy with the care she receives. The attendants are kind, gentle and attentive. Most importantly, there is very little turnover of staff, so they really get to know the residents personalities and preferences. I was very happy to find this smaller, more intimate facility for my mother. My Dad lived at Foothill Retirement and words cannot express how happy and grateful I am with the managers and care staff. They very gently handled a couple of difficult matters with my extended family with grace and respect. They were so kind to my dad and took such good care of him it makes me want to cry. They have a large staff with very low turnover. That, right there, tells you they are doing something right. My dad had been in several other assisted living places that we were not happy with until we found these guys. They are not the type to panic over little things and call you every 5 minutes about something trivial. They appear to be well educated on the aging process and the elderly’s changing needs. 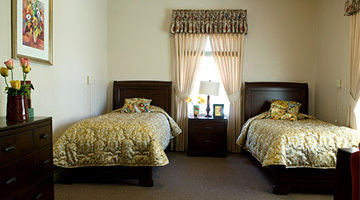 The building is an intermediate sized assisted living place and a historic monument. It used to be a hotel and health retreat from the turn of the century. It’s tucked away in a residential area with beautiful hills around it and a large backyard. I would like to name names of some of the wonderful people there. You cannot go wrong with Foothill Retirement and the wonderful staff. I will never forget you. I wanted to thank all of the Foothill Retirement staff and employees, for the hard work and hospitality. It means a lot to see how well my grandparents are taken care of. We appreciate everything that you do. Thank you for going the extra mile for my husband. You went beyond the call of duty and the welcome gift was perfect and well received. Thank you for the wonderful celebration. Obviously, a good time was had by all…residents and visitors. The food was delicious and the courtesy extended to us-spectacular.